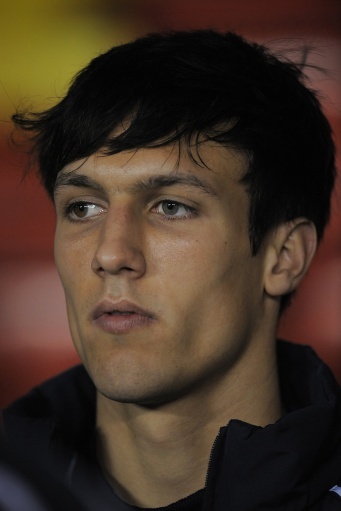 Promising 20-year old centre-half Jack Cork has joined Chris Coleman�s Coventry City on loan. Jack is the second Chelsea youngster to join Coventry as he joins Patrick Van Aanholt at the Ricoh Arena. "This is another excellent addition to the squad and Jack is the second promising young Chelsea player to join our ranks this summer," said Coleman. "He is very highly rated at Stamford Bridge and he has already played close to 100 matches while on loan at other Football League clubs so he has good experience for his age. "We made a substantial offer for Jack earlier in pre-season to bring him to the club permanently but Chelsea did not want to sell which shows how much they think of him - and how highly we consider him. "That said, we are delighted that they have let him come out on loan to us and this is further sign of what we are trying to achieve at the club." Coventry City will be Cork’s fifth loan club after earlier playing spells at Southampton, Watford, Bournemouth and Scunthorpe. We should also be pleased that Jack will receive excellent guidance under Coleman who was also well respected by José Mourinho whom he cited as tactically his most difficult opposing manager. With the disadvantage of clubs reserve sides not being allowed to compete in the football league (as they are permitted to do so in Spain for example) this is a further example of the club giving their most promising youngsters as much experience as possible before they hopefully make the grade as a first team squad player. The reserves kick off their campaign next week with a new manager, Steve Holland. The team is going to be completely unrecognisble from that of last season. Going to be interesting watching them this season. It will be good because a lot of the first year sholars from last season will get promoted, plus Gael should get a decent run out now that Frank has gone to West Ham, Fabio Borini will have a chance to shine and this year intake of 1st year scholars will get a decent chance to shine for the Academy. Kakuta must be in rehabilitation from his last injury??? Can�t wait to see him this season! Kakuta has played in a couple of friendly games at the end of last season, but got injured again, nothing serious so he should be ready for the start of this season.